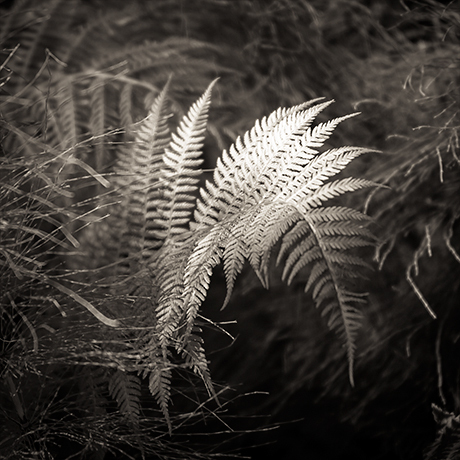 Black and white photo of sunny Fern. It's leaf looks like a bird tail. А Bluebird tail. Black and white wall art prints.